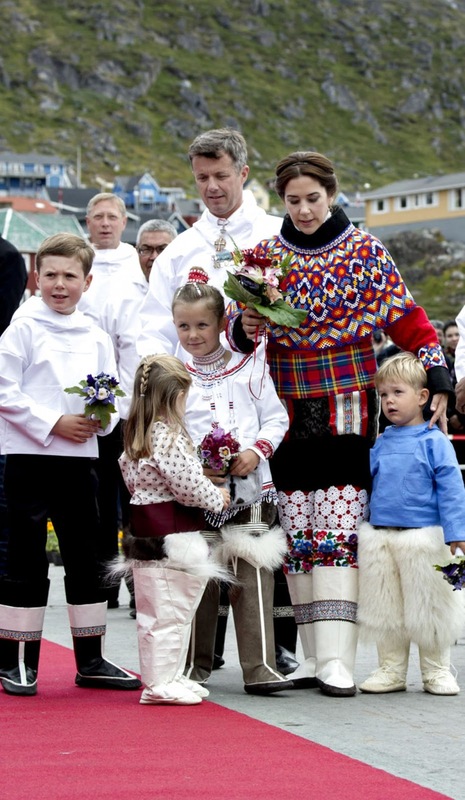 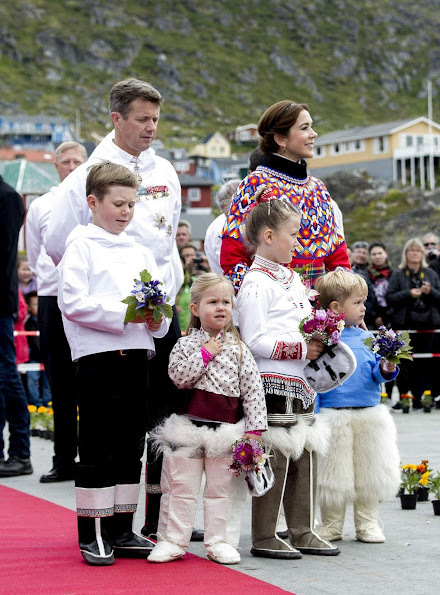 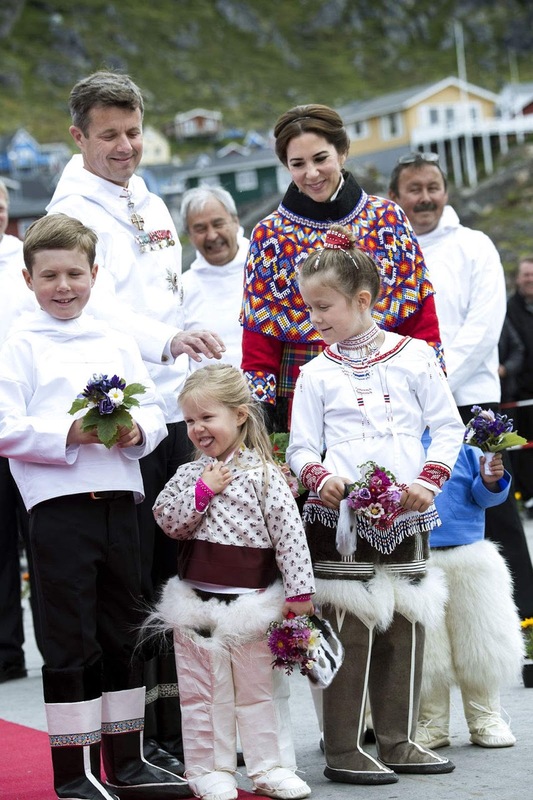 Crown Prince Frederik, Crown Princess Mary and with their four children Prince Vincent, Princess Josephine, Princess Isabella, and Prince Christian visited Qaqortoq, Greenlad. An anorak with medals? 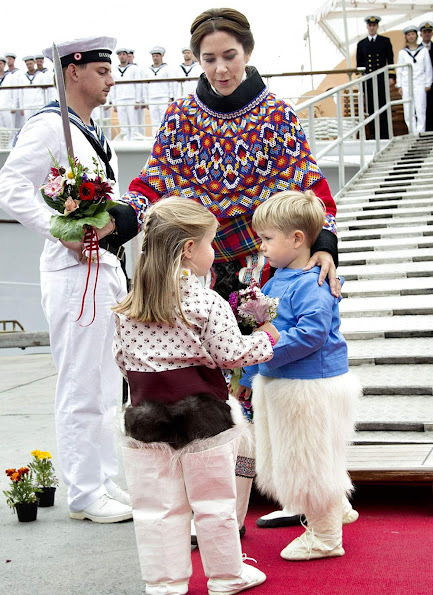 Beautifully dressed children giving flowers to their equally beautifully dressed "peers" on the gangplank? 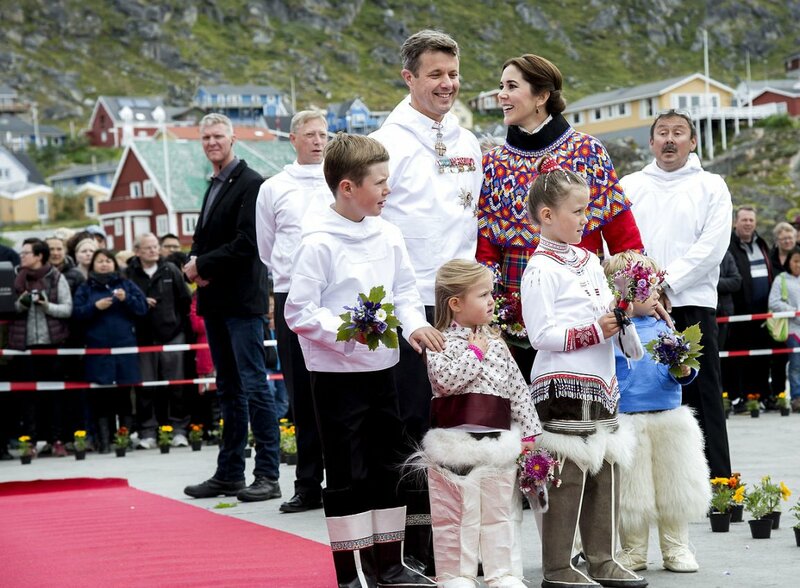 I feel confused - is this a vacation or an official visit? 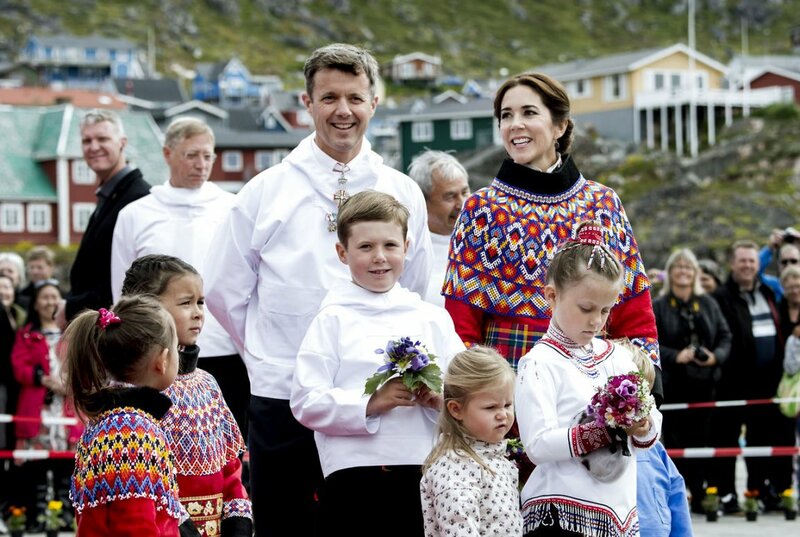 It seems a jumble to me. 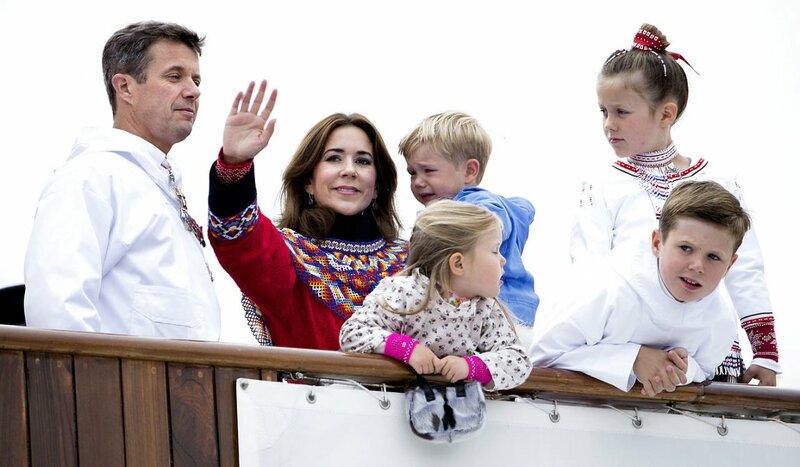 It is an official visit!